Project conceived for Rádio Faneca Festival, in Ílhavo, Portugal, Orquestra da Bida Airada is an orchestra composed of anyone who wants to join and develops music material that is specific to that place. Every year, all the material performed is composed in co-creation with all the participants. The Greatest Hits of Orquestra da Bida Airada were performed yesterday, at Radio Faneca Festival, in Ílhavo. With this performance preparation came the invitation to record an album and to publish a book, a very important landmark for ondamarela. 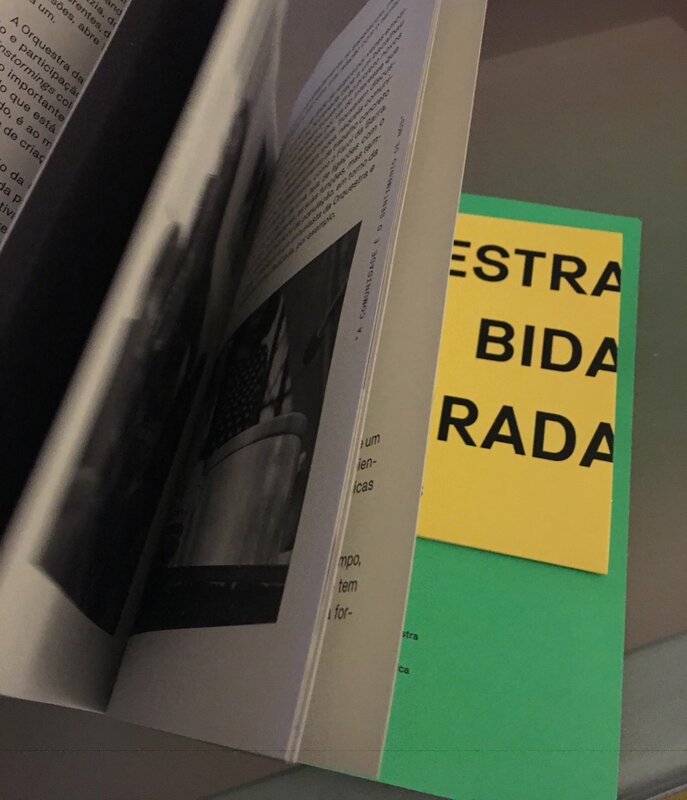 Published by 23 Milhas, ondamarela coordinated the recordings, the performance and the texts of the essay “To think the orchestra”, included on the book. It was a unique oportunity to firm ideas, to re-think, to debate about the things we love to do. Today we’ve been in this place explaining how wonderful it is to have a CD and a book of the Bida Airada project. The festival Rádio Faneca continues to be a space for creativity, diversity and good vibes. Come to Ílhavo, 8th to 10th of June! Bida Airada is recording an album! 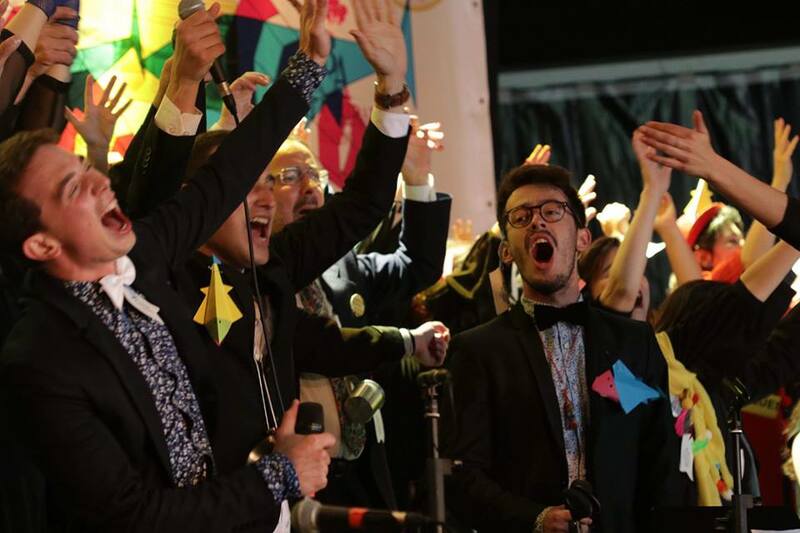 A Orquestra da Bida Airada, projecto de amor com Ílhavo, com a Rádio Faneca e com o 23 Milhas – Ílhavo, está a gravar um disco com os seus maiores êxitos. Preparem-se! The Orquestra da Bida Airada, our love project with Ílhavo, with Rádio Faneca and 23 Milhas – Ílhavo, is recording its Greatest Hits. Get ready! Project conceived for 2014, 2015 and 2016 editions of Festival Rádio Faneca, in Ílhavo, Portugal. It proposes an orchestra composed of anyone who wants to join and develops music material that is specific to that place.